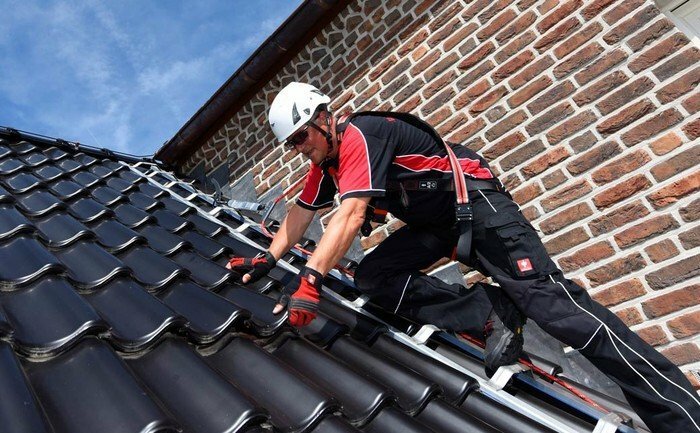 Presenting our ABS-Lock DH04-OG roof safety hook in moving images: Watch our short product video to find out more about its most important features! Anchorage point and ladder hook all rolled into one - meet our ABS-Lock DH04-OG. 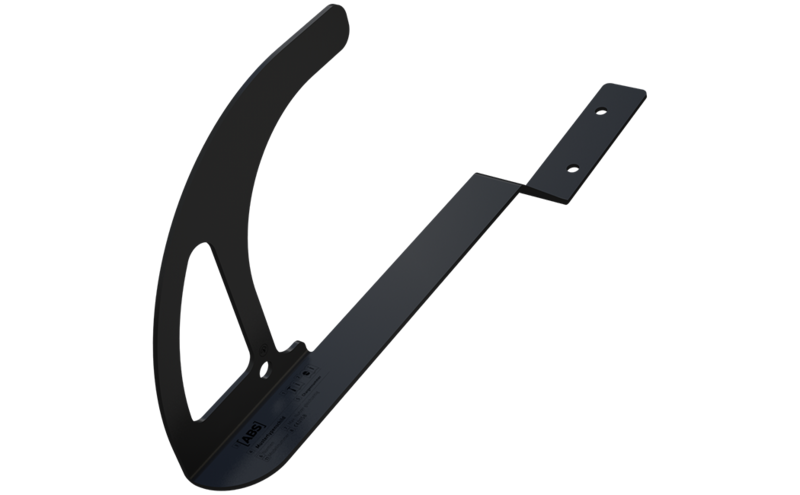 This device has been tested and certified as a roof hook in accordance with EN 517:2006, type B, i.e. it is suitable for all directions of load. In practice, this is the major highlight of our ABS-Lock DH04-OG anchor as it means that the user is not merely confined to working in the area directly below it. 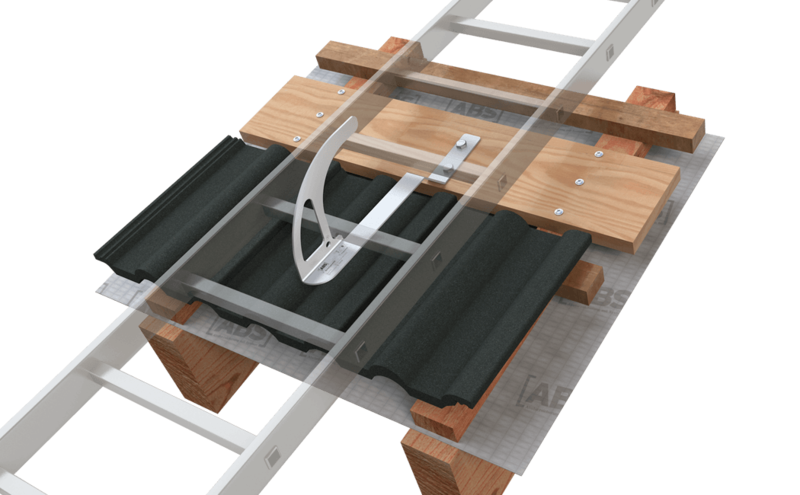 This anchorage device allows you to work safely anywhere on the roof surface. You can hook up to the roof safety hook as soon as you step onto the roof - even if this is located right next to you. Our stainless steel roof hook is equipped with a cranked shaft specially designed to bridge the roof cladding. It is installed by screwing two screws through the counter lathing and into the beam. A series of inhouse trials has demonstrated that, in practice, this anchorage device can secure up to 3 individuals simultaneously. Upon request, we can also supply this anchorage device with a colour coating. The ABS-Lock DH04-OG is available in standard red (RAL 3009) or anthracite (RAL 7016). Just let us know, if you need a custom colour. Round off your safety kit: Combine our roof hook with matching personal fall protection equipment (PPE) for an optimal safety solution. 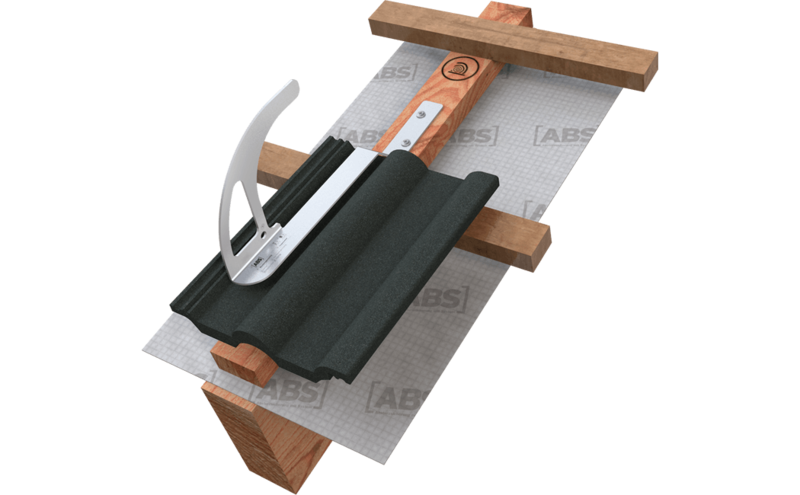 We have already included the most important components in our special "Roofer Kit". Of course, all the required PPE components can also be supplied separately. Browse through our Fall arrest PPE Section for safety harnesses, lanyards and self-retracting lifelines in a wide range of different designs and lengths.